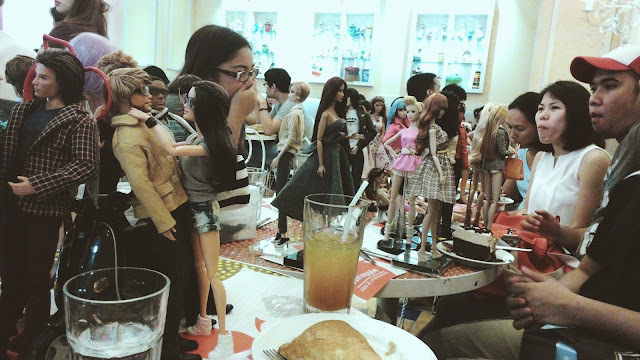 atelierniSHASHA: Bree goes to a Doll Meetup! 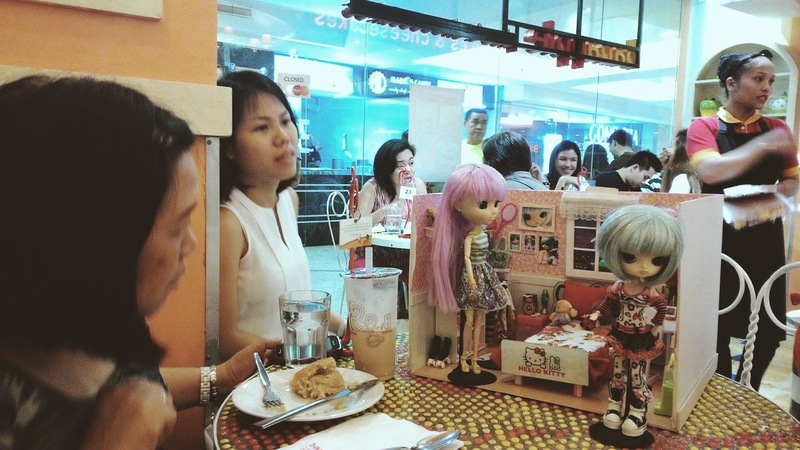 attend a doll day/meetup recently. wasn't able to take a lot of photos! This was organized by Bubbles, the one in white shirt in the above photo. We held it in a small pastry shop in a mall. Kudos for making it happen, Bubbles! wearing fashions that would best represent you, the collector. 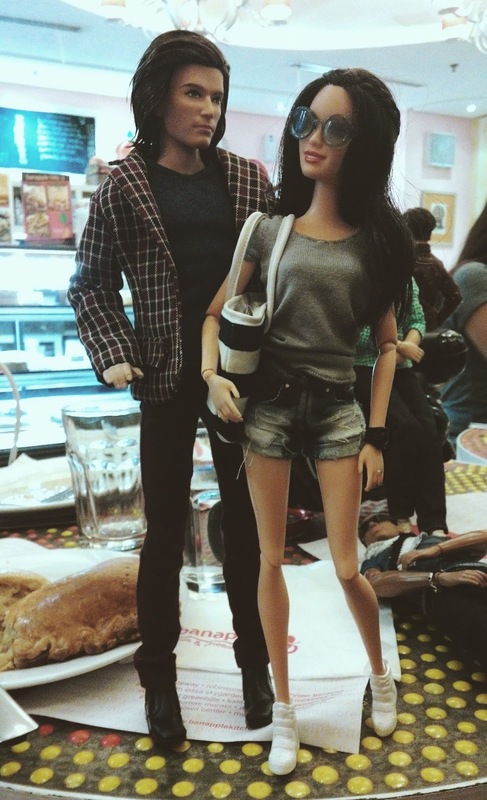 My Bree is in shorts and tees and totes - pretty much me. 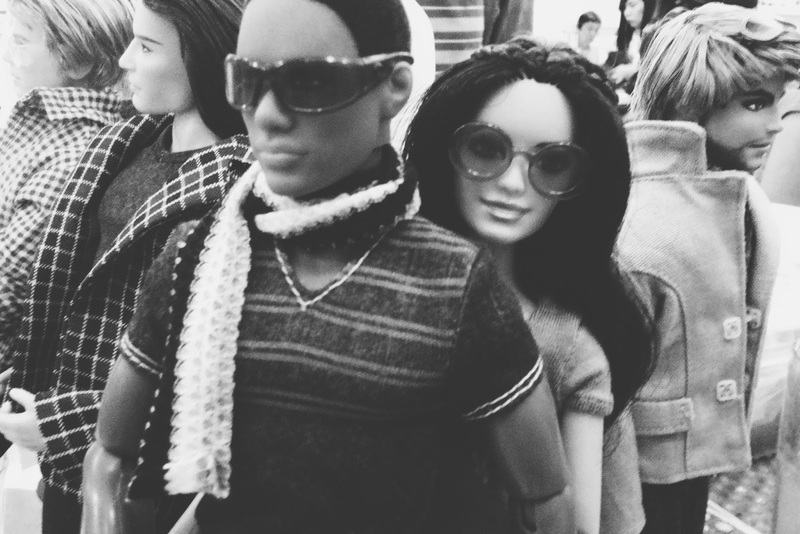 The rest of the dolls, as you can see, are as fabulous as their humans! Now the fun starts! For Bree! Yikes! here is Bree, apparently soooo fascinated by this other creature. In the photo above are Lovely, Bubbles and Astro Pabs. It's quite a fun mix of doll collectors that day. and many more I was not able to take photos of. And the baby is now a lady. Gone is Bree. Call me Briana. when they see boys at doll days. How are your doll days over there at your side of the world, guys? Awesome! I'm so happy for you and even happier for Bree. No one should go through life without men around! 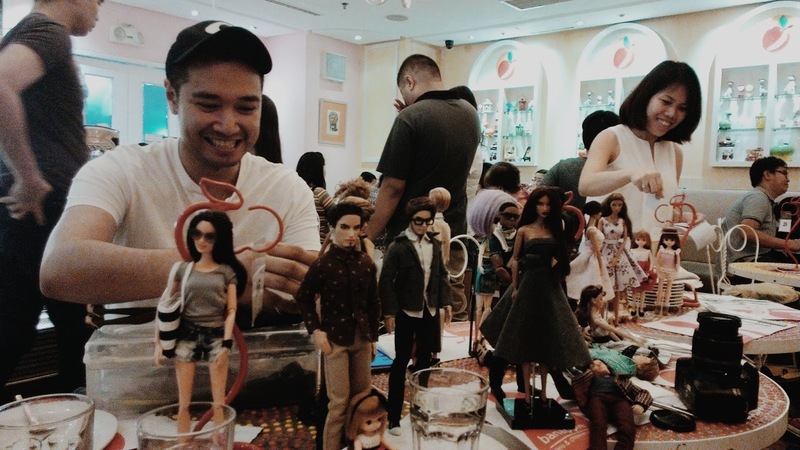 Nice to see the other collectors and their dolls. Bree's outfit was so cute. Love those shorts. Yes, it was really great to chitchat with soul sisters and brothers and never have to mind if the other person is judging you about your passion about dolls haha! I and my girls envy you and your girls for all the Ken party over there! Beware of Hommes Shasha, they are addicting! I started getting one because the girls felt lonely and now I've got more boys than girls and I've been completely sucked into male fashions! Yikes! But I'm sure the scarcity of Hommes (or their distributors) here in my country just might help control it? LOL! Ha, I think you are obligated now to get your girls a boy ;-D! The meet-up looks like a great event. Those doughnuts look really tasty and well-made! It looks like you guys were having so much fun! Yes, get some boys. Your girls will be much happier with them around. Lol! Briana's outfit looks nice and comfortable. Boys, boys, boys... Need to budget, budget, budget.. LOL! Thanks, Georgia, Girl! This looks like it was such a fun meetup! You sure look like you had a lot of fun! Tee-hee... We're having the next one soon as well so pretty excited about it!